We believe there is always a reason to choose the comfort and style of a black car service. Drinking and driving doesn’t need to occur when you’re in Santa Barbara or Santa Ynez Valley. We will make sure you all get to your destination safely and efficiently. With Silk Road Transportation by your side, you will always be riding in safety, comfort and style for any occasion you choose for in the Santa Ynez Valley and Santa Barbara areas. Birthdays should always be a fun and memorable celebration! For your next birthday, choose to travel in style. You can go on a wine tour or use a limousine to get you to and from your celebration spot! You can always include a large group to spread the fun all around. Who can say “no” to a birthday gathering in a limousine or party bus? Get your favorite friends together and let the celebrations begin! Think outside the box and surprise your honey with a limousine ride to and from your restaurant. Want to make it different? Why not going on a super romantic wine tour for two? It maybe just what you both need to celebrate this milestone in your relationship. Let us from Silk Road Transportation Wow you and customize the experience for the two of you. A bachelorette party is a special time to celebrate friends and a new chapter in life. With Silk Road Transportation you are guaranteed a great time. Choose our party bus to celebrate on the go while going from one club to the next or if you aren’t into the club scene, but still want to go out, and have a memorable experience, book a wine tour instead. We are known for unforgettable bachelorette parties in the Santa Ynez Valley. We will provide you with everything you need for a fantastic time with your ladies. Have you been working so hard and want to go out to just enjoy a stress-free night out in town? Why not do in style and arrive in the comfort of one of our black cars? Our experienced chauffeurs will ensure you have a great night enjoying yourself and who matters most to you. 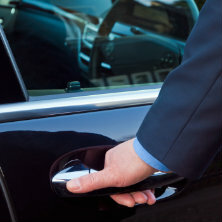 Choose a reliable, safe and private black car service for your next ride to and from the airport. We offer convenience and safety when you need them the most. Call Silk Road Transportation at 1(805) 403-3300 to take you there.